Tornado in a jar is a simple educative experiment albeit fun. The low skill level required for it makes it ideal for kids’ science fair project. 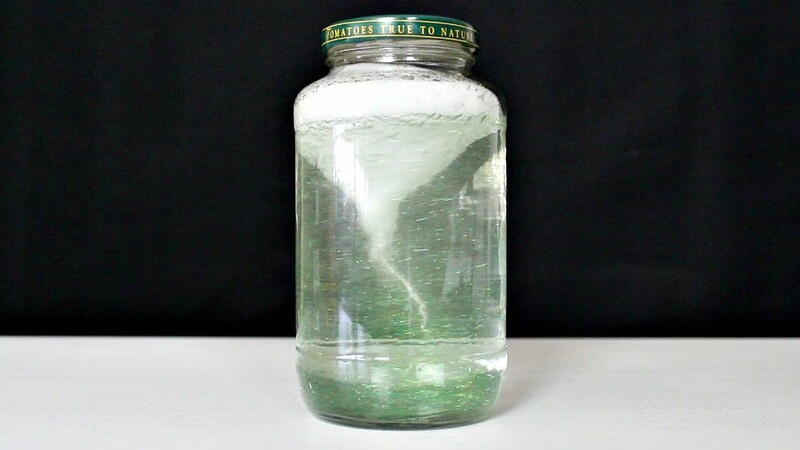 In this DIY, the swirling masses of air forming a tornado have been replicated as waves of swirling water in a jar. Fill three-quarters of the jar with water. 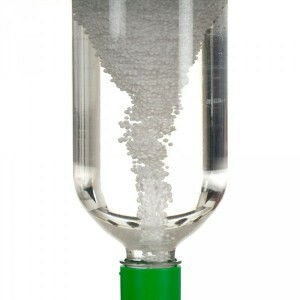 Pour one teaspoon of dish soap and an equal quantity of vinegar to the contents of the jar. Sprinkle a little glitter into the jar. Close the lid of the jar. Shake the jar in order to mix its contents thoroughly. Swirl the jar in a circular motion. 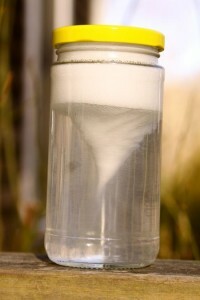 A vortex will take shape at the center of the jar. 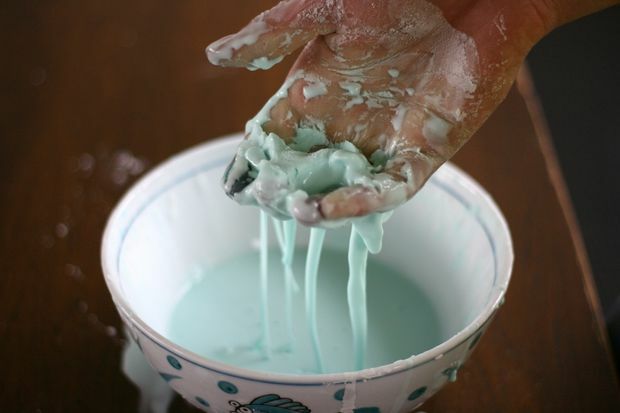 As you twist the jar, the liquid layer in contact with the walls start swirling due to centripetal force. Centripetal force is the force which helps to keep a body rotating along a circular path. It is directed inwards, towards the centre of the circle. Gradually, due to the inertia of motion, the liquid molecules near the center also start rotating rapidly. As you stop moving the bottle, the outer layers of liquid slacken their pace, but the inner layers continue their spinning motion, forming the tornado. Children will love to watch their homemade twister in action in this splendid activity. The glitter adds to the fun by giving the impression of debris plucked up by the tornado and set into a whirling extravaganza.